In a world full of noise, distraction and overload, we are called to listen to God’s world, to God’s Word, to God’s people. 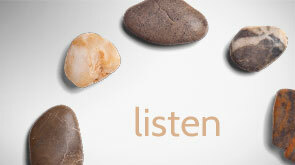 Deep listening comes first -- so that action is grounded, intentional and transformative. Displaying 1 - 5 of 87 blog entries.